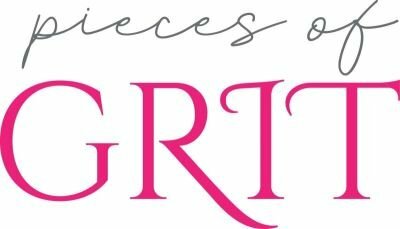 Brazen was founded by Kirsten Karchmer, who is one of my favorite podcast guests. You can find her episode HERE and catch up on why I love her so much. Growing up, no one ever told me that living without period pain was an option. I don't think they thought it was. In fact, until Kirsten shared this mind-blowing statement with me at 39 years old, I'd never heard anyone else say it. My teenage years were filled with cramps, nausea, headaches, and more every single month. I learned the importance of nutrition and fitness in my twenties as it related to my reproductive health, but still had a lot of discomfort and various challenges. I would end up leaving work early the first day or two of my period. I lived with my heating pad during those days. My doctor prescribed a stronger dose of pain medication that, if I wasn't careful, would end up making my stomach hurt for days. Kirsten explained that women have an amazing warning system that men don't have. Our bodies let us know if something is amiss. If a woman is experiencing a lot of symptoms during PMS and menstruation, there is a likelihood something else is going on. Through acupuncture and herbal healing, she has helped thousands of women improved their lives. Since I'm not in Austin where Kirsten practices, I found a local acupuncturist to help me hit some of those pressure points I'm not familiar with. I made a few tweaks to nutrition, even though I'm already a pretty healthy eater. Most importantly I started using Kirsten's two supplements. I'm always hesitant to start a new supplement. In the past I've had bad luck with some supplements that gave me migraines due to some type of filler they used. And without testing, sometimes I'm leery to add anything to my body unless I know I'm actually deficient. You can have too much of a good thing and just because a product is natural doesn't mean it's the best choice. I have used Brazen supplements (both the PMS support & Cramp Relief) for three months now. In addition to alleviating 90% of cramp discomfort I've also noticed I'm not as cranky when I'm in the throes of PMS. I have only taken one ibuprofen pill in all of that time and honestly, it was just the first month because I was nervous about going cold turkey. Side benefit: as a runner, I can struggle to keep my leg muscles loose. When I'm using these supplements I have minimal muscle tightness and feel my best, which used to be the opposite. I also love that I don't have to take them every single day. I'm a purist, so the fewer things I can put in my body, the better! 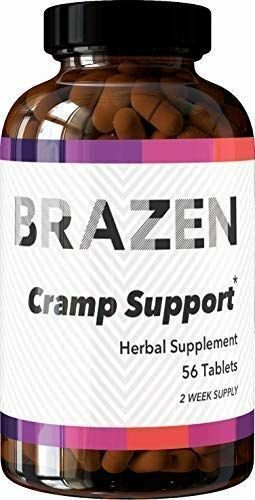 If you have PMS symptoms or any period pain, I recommend reading about Brazen products and trying them for a month. Check them out below and let me know what you think.